Save Additional $419.70 When Paying With Bank Wire. You pay $13,570.30. 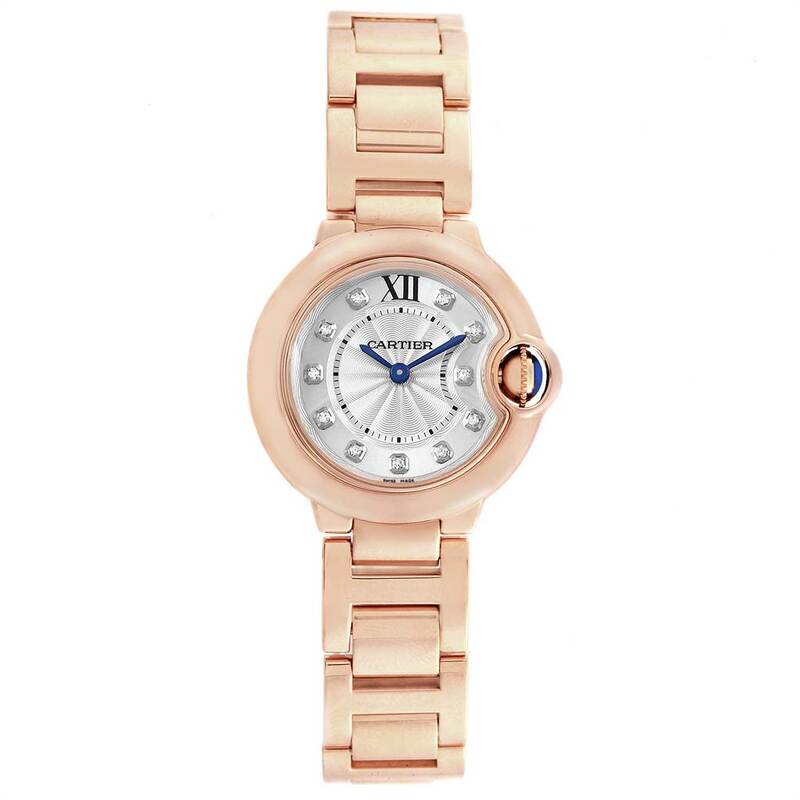 Round 18K rose gold case 28.0 mm in diameter. Case thickness: 9.35 mm. Fluted crown set with the blue sapphire cabochon. Fixed 18K rose gold smooth bezel. 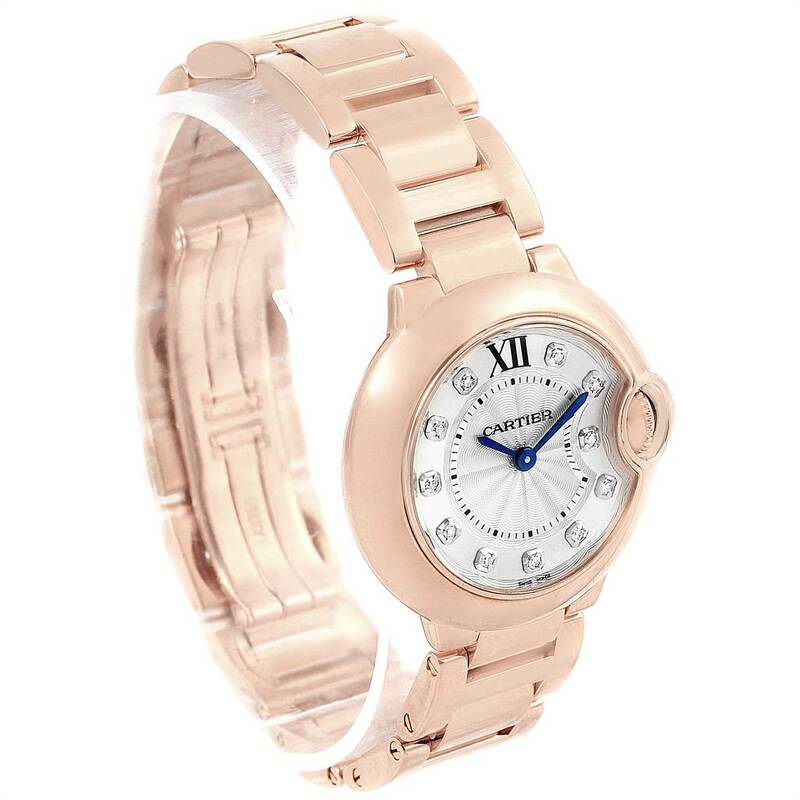 Silvered opaline lacquered dial with sunburst effect. 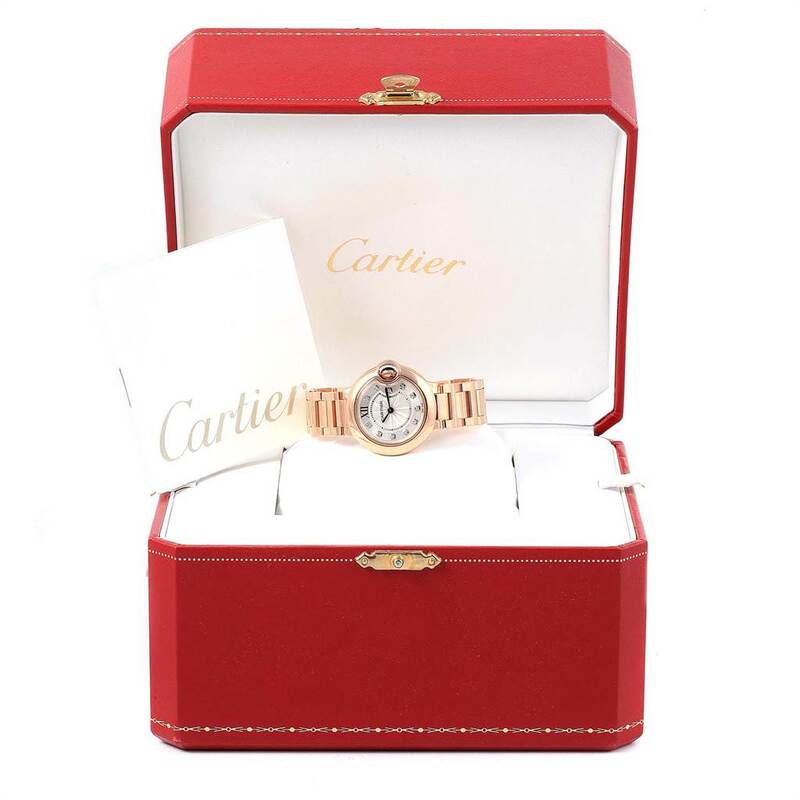 Original Cartier factory diamond hour markers. Blue sword shape hands. 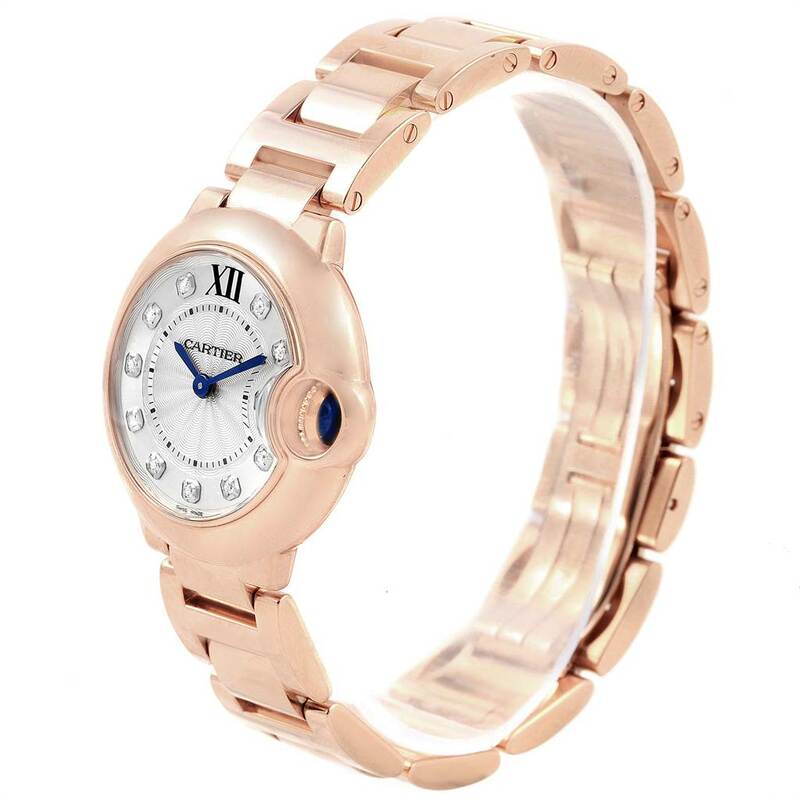 18K rose gold bracelet with double deployent clasp. Fits 6 1/4" wrist. 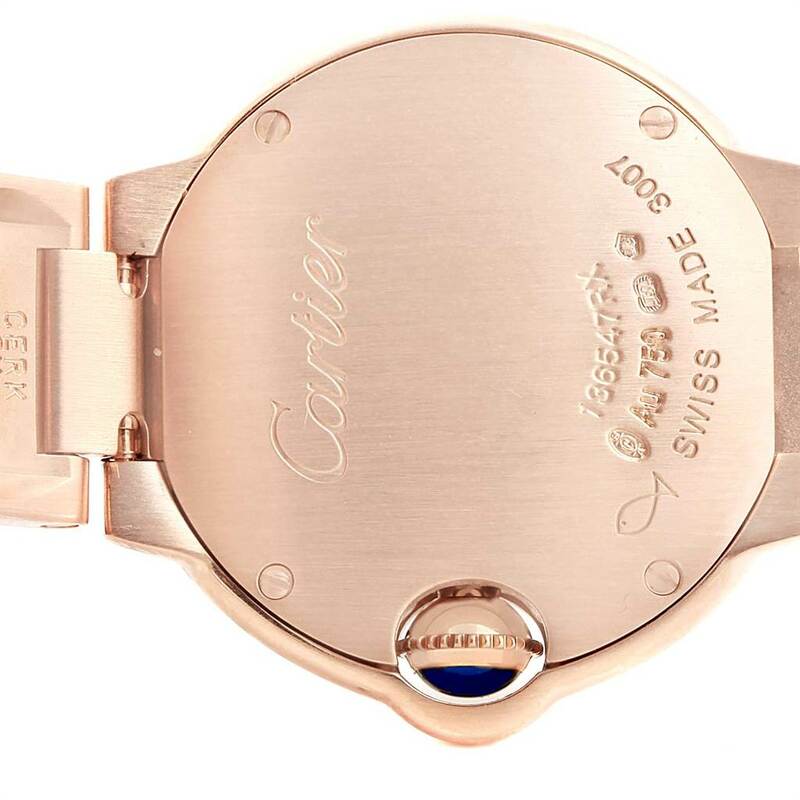 Cartier Ballon Bleu Rose Gold Diamond Ladies Watch WJBB0016 Box. Quartz movement. 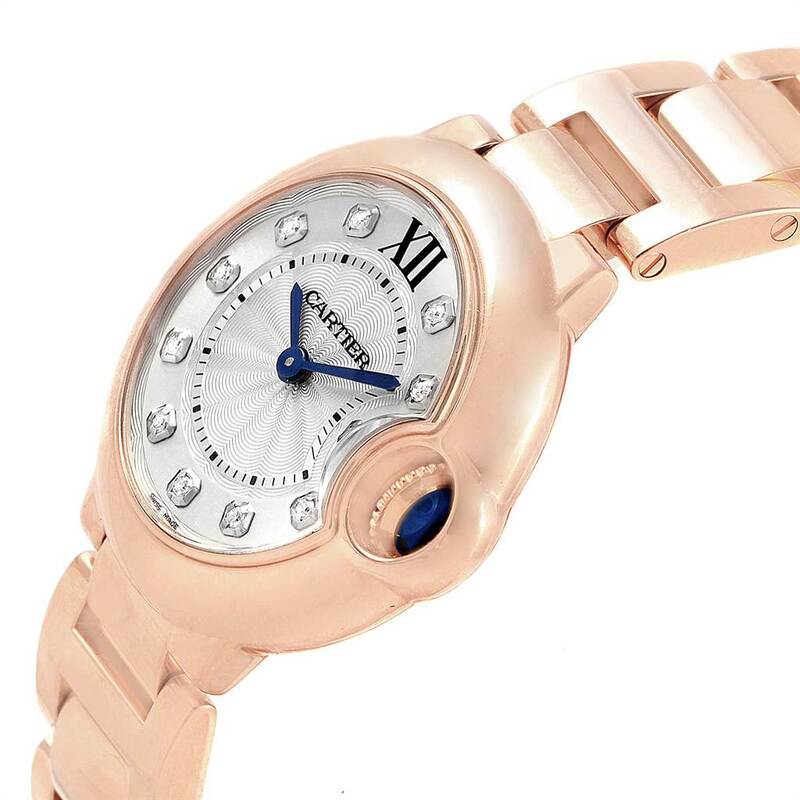 Round 18K rose gold case 28.0 mm in diameter. Case thickness: 9.35 mm. Fluted crown set with the blue sapphire cabochon. Fixed 18K rose gold smooth bezel. Scratch resistant sapphire crystal. 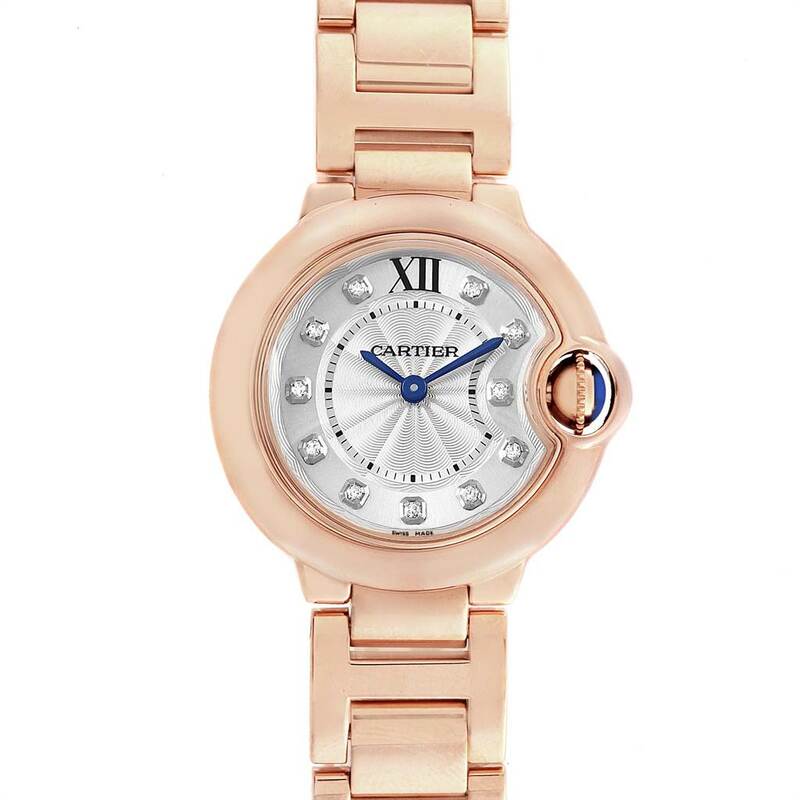 Silvered opaline lacquered dial with sunburst effect. Painted roman numerals. Blue sword shape hands. 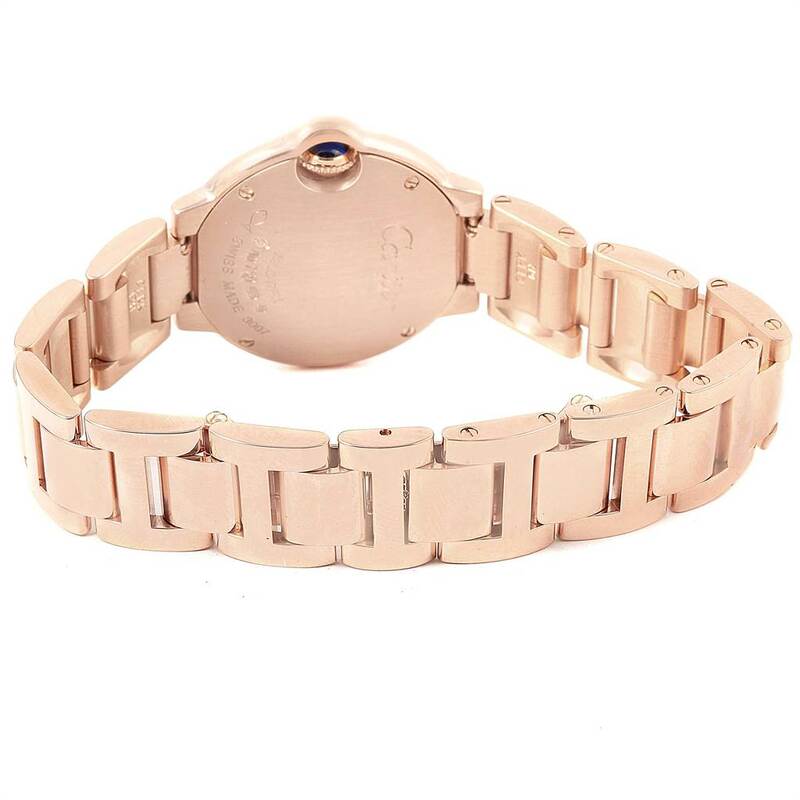 18K rose gold bracelet with double deployent clasp. 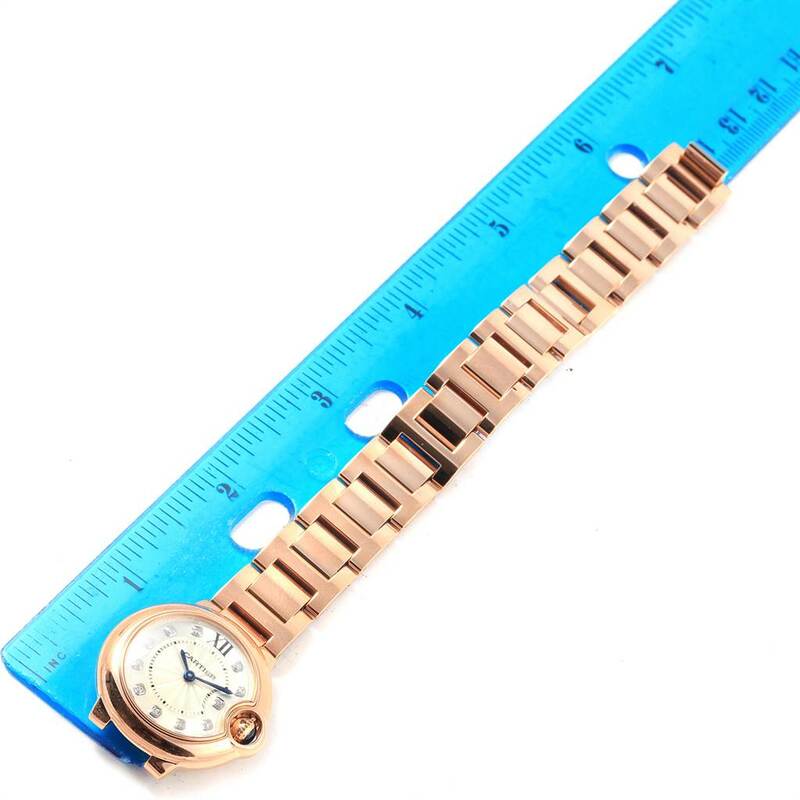 Fits 6 1/4" wrist.